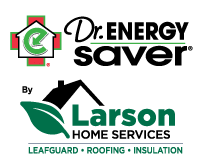 Local homeowners are excited to work with Larson Home Services because of our access to the industry's best products and our proven track record for success. We'll be with you every step of the way, from project inception to completion, and we'll be more than happy to answer any questions you may have. Together, we'll work towards making your home a safer space. Ready to get started on your new gutters or roofing project? Call Larson Home Services at 1-608-222-9919 or contact us online to schedule a free estimate! We offer our services to customers in Janesville, Sun Prairie, Middleton and throughout the surrounding areas. When you work with Larson Home Services, you can rest easy knowing that you'll always have our support in the future. With an A from Angie's List, and an A+ rating from the Better Business Bureau, we are endlessly committed to our work and how it lasts for residents of Greater Madison. But don't just take our word for it – see what our customers have to say! Ultimately, we know you'll be happy with your seamless gutters or new roof, because we won't stop until you are completely satisfied.